[Horna, Kati] Comite de Ayuda al Pueblo Español. 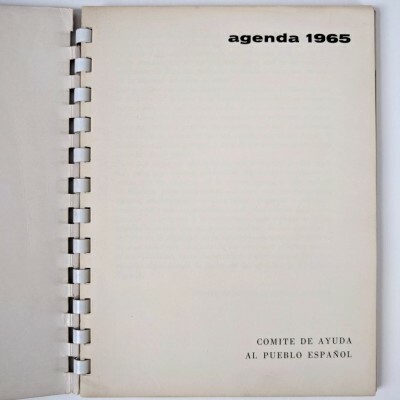 España 1936-1965. [Mexico]: . Small 8vo, 7-⅜ x 5-⅝ in.,  pp. ; illus. 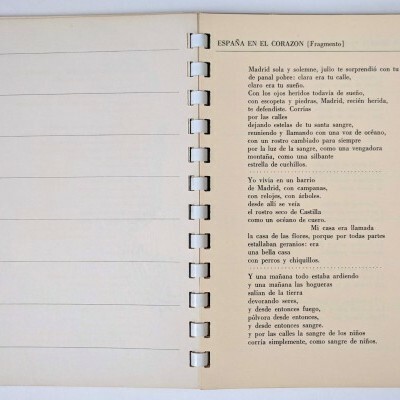 daily agenda and poems, with 7 b/w pls., printed recto and verso, incl. 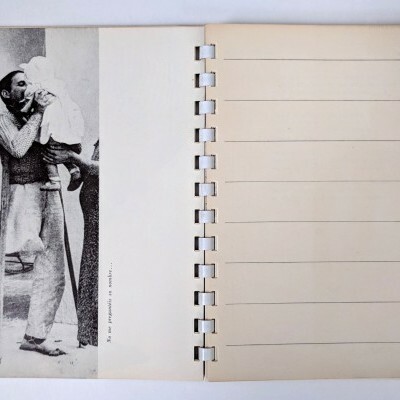 10 reproductions of photographs by Horna; final page reproduces pinback worn by the Abraham Lincoln Brigade during a protest against the Spanish Pavilion at the World’s Fair, 1964; in plastic comb binding with glossy pictorial wrappers by Horna, worn at binding and fore-edges, with creases; interior very good. Thirty years after the end of the Guerra Civil, exiled Republicans and sympathizers continued to agitate in Latin America and Europe for an end to the Franco regime. This agenda calls for daily solidarity with “the sacrifices and suffering” of the heroic Spanish people still fighting against “Nazi-fascism,” particularly political prisoners and their families. 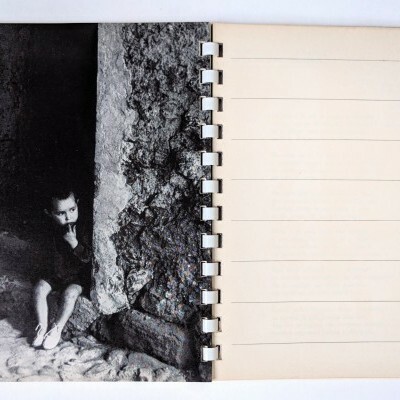 The calendar includes radical Spanish and Latin American poetry, including work by Garcia Lorca, Machado, Neruda, Rejano, et al., and is illustrated with wartime photos by Hungarian-born Mexican photojournalist Kati Horna (1912-2000). 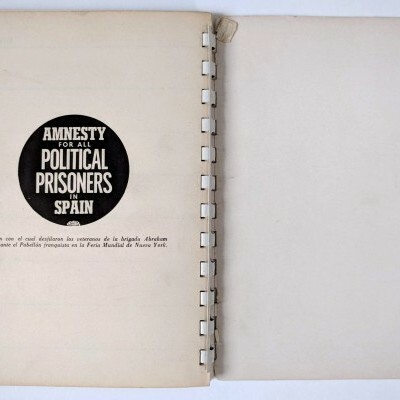 Horna worked for a number of anarchist magazines in Madrid before she was hired in 1937 by the Republican government to document the war. 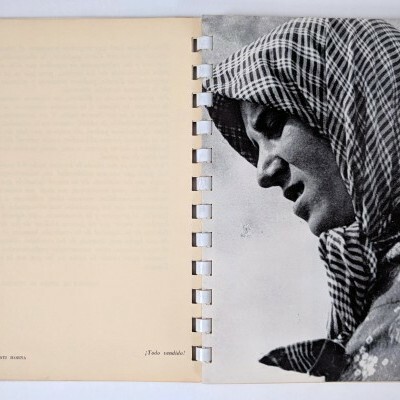 After two years in Spain she was forced to flee to Paris and then Mexico where her negatives remained largely unseen until the fall of Franco in 1979. Since that time her unusual subject matter and passionate representation of ordinary lives in communities far from the frontlines (e.g. 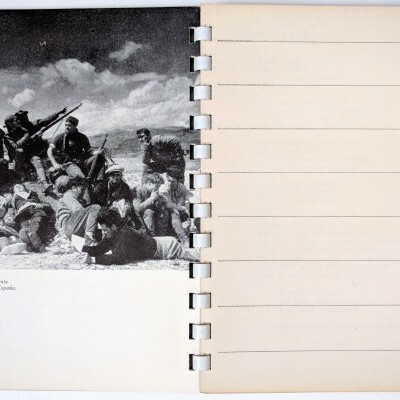 women and children, wounded soldiers at home) have re-established her reputation alongside her lifelong friend, Robert Capa. She lived in Mexico for the rest of her life, where she contributed to a number of anarchist publications and became a key member of a group of expat artists, including Remedios Varo and Leonora Carrington. Only recently rediscovered, Horna’s published work before 1979 is scarce. 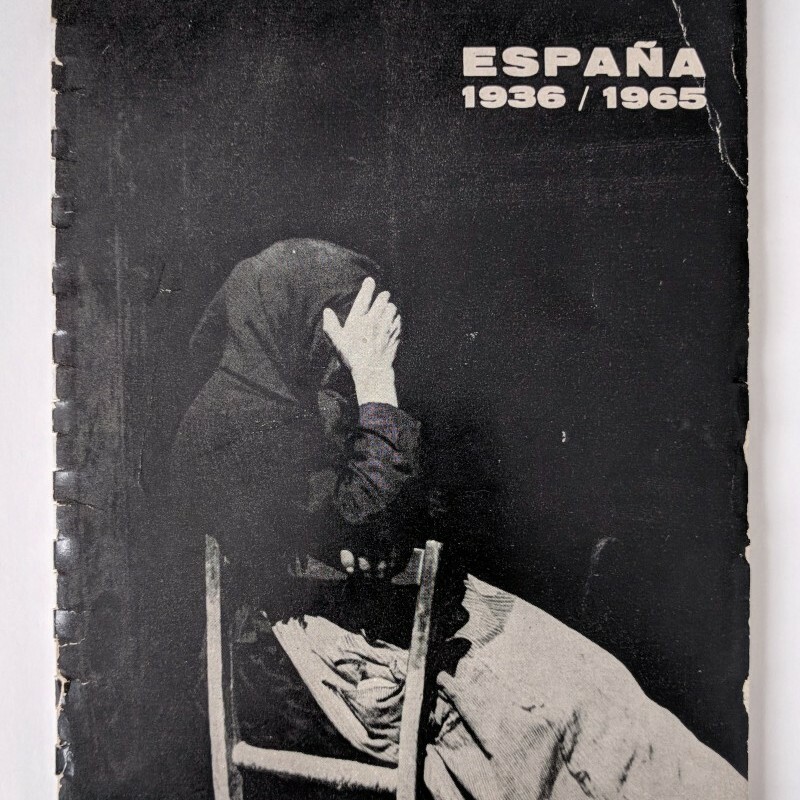 The first major publication of her Spanish Civil War-era work was in 1992, almost thirty years after this calendar appeared.